The Bulls, mired in one of their worst seasons in recent memory, kept the bad times rolling on Thursday night in a 30-point loss to the Nuggets in Denver. But amid a season that is more about player development and asset collection, it is important to keep up with the Bulls transactions up until the February 7 (3 p.m. ET) NBA trade deadline. Until then, we will be tracking any trades the Bulls make, as well as listing the Bulls current trade assets. The Bulls 1st round picks will not be included in the rankings. Those picks obviously have tremendous value with Chicago being a struggling team, and they aren't any obvious trades where the it would be worth it for the Bulls to give up high-1st round picks. Reports state (New York Post) that the Bulls have been engaging in Jabari Parker trade talks, with the Knicks as a possible suitor. Parker is averaging 16.6 PPG, 6.6 RPG, 2.2 APG and shooting 46.2 percent from the field. 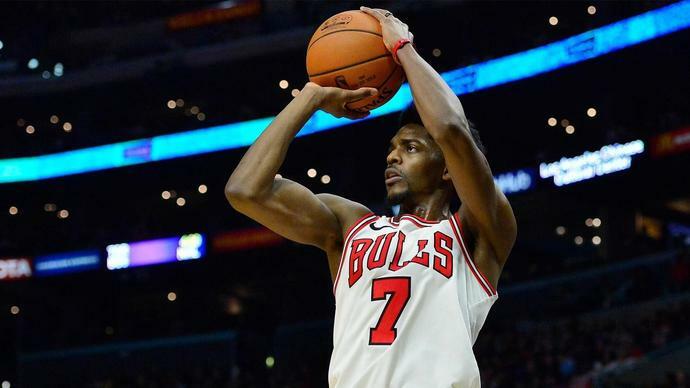 There are no reports of trade talks about Bobby Portis. But he is headed for restricted free agency. If Portis does not receive and offer sheet from another team, he will be eligible to be sign-and-traded. Portis averaging 11.9 PPG, 7.6 RPG and shooting 40.5 percent from the field, and 34.1 percent from the 3-point line. There are reports of the Bulls looking for trade partners for Robin Lopez. He is on a $14.3 million expiring contract (via spotrac.com) and is averaging 5.9 PPG, 2.6 RPG, 0.8 BPG and is shooting 52 percent from the field, and 26.7 percent from the 3-point line. The Bulls 2019 2nd round pick (via the Memphis Grizzlies) is currently projected to be 38th. Justin Holiday traded to the Memphis Grizzlies for MarShon Brooks (cut) and Wayne Selden Jr., Grizzlies' 2019 and 2020 second-round picks.